Thanks to our arrangement with MARINet, the library now has acquired full access to the New York Times academic edition for all students, faculty and staff. It's something we've wanted for some time but has been cost-prohibitive. We hope you enjoy it and can find uses for it in your curricula or just in your daily life. ​All multimedia, including video, photography, VR features, and all new multimedia to come. Spanish and Mandarin Chinese versions of nytimes.com. World-class curation that fosters engagement and exploration. Email newsletters, including California Today and The Edit. Mobile Apps for phones and tablets. Cross-platform save; any article you save on nytimes.com is easily accessible from any device. Article recommendations based on topics you most commonly read about. The New York Times InEducation: Faculty-generated course material to help professors easily integrate The Times into their curriculum. ​Note: For articles from 1923-1980, each individual user is limited to 5 articles per day, due to a copyright ruling. If this will be your first use of the site, so you will create an account. Use your Dominican email address and a password of your choosing. 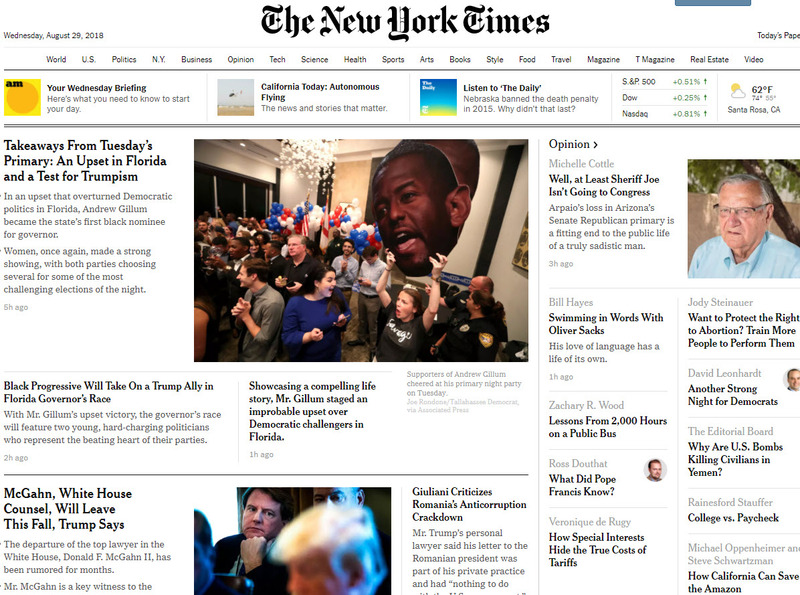 You will now be able to use the New York Times from any location on any web enabled device without having to log into the Dominican Proxy server. Just log in to NYTimes.com with your Dominican email address and the password you just made and you are all set. If you have any questions, please contact one of the librarians.